Essex Maths Tutors believes that it is always unacceptable for a child or young person to experience abuse of any kind and recognises its responsibility to safeguard the welfare of all children and young people, by a commitment to practice, which protects them. To provide protection for the children and young people who receive Essex Maths Tutors services. To provide guidance on procedures for staff in the event that they suspect a child or young person may be experiencing, or be at risk of, harm. This policy applies to all staff or anyone working on behalf of Essex Maths Tutors. This policy applies to all staff and anyone working on behalf of Essex Maths Tutors. to protect children and young people who receive Essex Maths Tutors services. Essex Maths Tutors believes that a child or young person should never experience abuse of any kind. We have a responsibility to promote the welfare of all children and young people and to keep them safe. We are committed to practice in a way that protects them. This policy and the procedures that it underpins apply to all staff and anyone working on behalf of Essex Maths Tutors. To ensure that, as an organisation, we operate in line with our values and within the law in terms of how we use information technology. The welfare of the children/young people who come into contact with our services is paramount and should govern our approach to the use and management of electronic communications technologies. The use of information technology is an essential part of all our lives; it is involved in how we as an organisation gather and store information, as well as how we communicate with each other. It is also an intrinsic part of the experience of our children and young people and is greatly beneficial to all. However, it can present challenges in terms of how we use it responsibly and, if misused either by an adult or a young person, can be actually or potentially harmful to them. 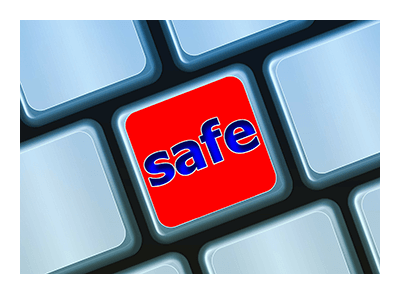 We are committed to reviewing our Safeguarding, Child Protection and e-safety policies and associated good practice annually.